There is no denying the fact that web activity is on the rise and so is the need to protect yourself from potential malicious actors. Having everything on the “internet” has its benefits but similar to risks involved in opening/operating a physical store, the owners of web properties across the internet face comparable dangers. Viruses, malware, spam, etc. are some of the more common terms associated with risks when operating online but there’s much more to it. Identity theft, social engineering, bank fraud, etc. however are less prominent but carry a much higher risk. Unfortunately not everyone understands the risks or is unaware of adverse consequences of something going wrong with respect to their online persona. Fortunately protecting yourself online is rather easy and doesn’t involve any extensive investment in terms of time, money or any sort of resources. This being said apart from being vigilant, having an security solution up and running on your computing machine is the next best thing to do. By doing so you’re essentially offloading the task of monitoring internet activity on your device to a “professional” wherein profession in this case is an internet security suite. Kaspersky is one such (complete) solution capable of delivering a 360 degree protection including, but not limited to, defending from nasty viruses, shady spyware, phishing attempts, etc. However, if you’re someone more involved you might ask, every security solution offers pretty much the same set of benefits (plus/minus some) then why go for products from Kaspersky Lab?! Good question I’d say but here’s the thing, a good security suite is one that doesn’t come in the way i.e. Quietly sits in the background – It doesn’t mean that the software would hog system resources and/or slows down system to a crawl. The aim is to provide an additional layer of security at the least cost possible. Always on the look out for nasty stuff – This is very tricky. The nature of viruses, type of hack attempts, etc. are evolving day in day out. They come in different shape or size and as such it is absolutely essential for anti virus makes, internet security providers to be able to understand and act against such attack vectors in a timely manner. Kaspersky Security Cloud is one such a great example. Lower false positives – Without being too technical, I’ll just say that there’s a couple of ways a security solution blocks a malicious request. Eg. in case of a masked request, either it is known (and validated) by the provider as a bad request or it is “sensed” as a bad one based on the behavior of the request. In the former case, blocking is relatively easy but in latter things can get dicey. A poor detection algorithm would result in too many false positives and keep on blocking stuff which otherwise might be completely legit! Something you don’t want. All of these 3 things are pretty big ask! The idea is for the software to make life easier for you and not the other way around. Kaspersky Lab is one such provider that is known to check all the boxes and has been the world’s most awarded protection! Alright, so an award winning company, loads of industry experience yada yada yada… Great but how do they achieve this? Kaspersky Labs makes securing your web activity a breeze. There’s a solution for every type/scale/level of need. 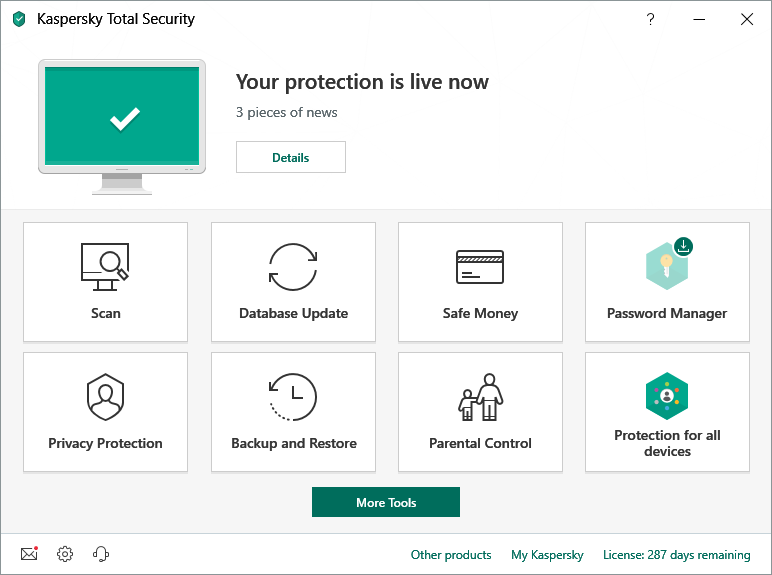 Looking for protecting yourself online, they’ve got it covered through Kaspersky Total Security! Just got started with the next million dollar startup? 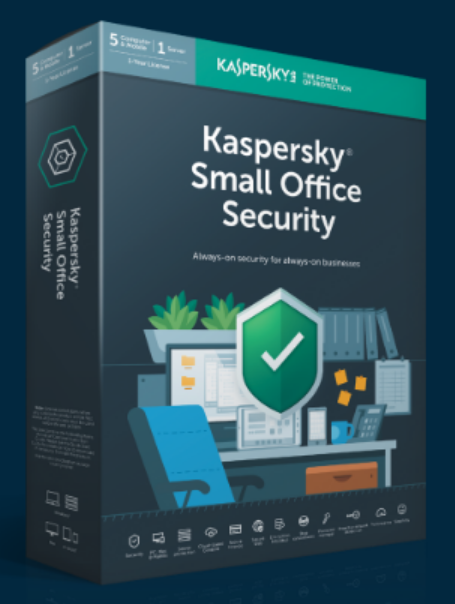 Thinking about keeping your idea(s) safe, there’s Kaspersky Small Office Security to think about. Whether you are looking for something for protecting yourself online, the entire family or even a business, you are all covered. Kaspersky’s products act as a strong first line of defense for businesses and individual alike. Fortunately all of this is knit nicely into a simple & subtle user interface thereby allowing even the non-technical users to get going.